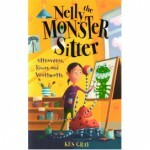 Big hearted, fun-loving and fearless, Nelly Morton babysits for the weird and wonderful families of monsters who live secretly on her estate. 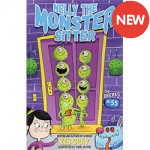 Nelly The Monster Sitter books have three completely different monster sitting adventures inside and are suitable for older readers aged 8-12. 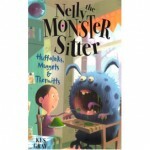 Nelly isn't scared of monsters. In fact, she babysits for them. From the bestselling author of the O.. Illustrated by Stephen Hanson Good-natured, entertaining and, with three monster encounters in ea.. Illustrated by Stephen Hanson Very funny, very exciting and very, very different. Nelly's phone i.. 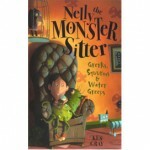 Illustrated by Stephen Hanson Nelly's monster-sitting adventures continue to be full of surprises.. 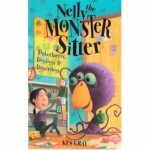 Illustrated by Stephen Hanson Nelly's monster sitting adventures are always full of surprises.She.. 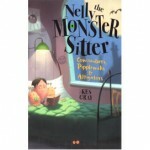 Illustrated by Stephen Hanson Nelly's monster sitting adventures are always full of surprises. Th..